Published by a supermarket group, Maxima was submitted through a rigorous graphic reform and relaunched with enormous success at the beginning of the millennium, enjoying the collaboration of the best photographers and illustrators of the time and positioning itself above other publications women titles. A Merkur/Billa & section.d publication, Austria. 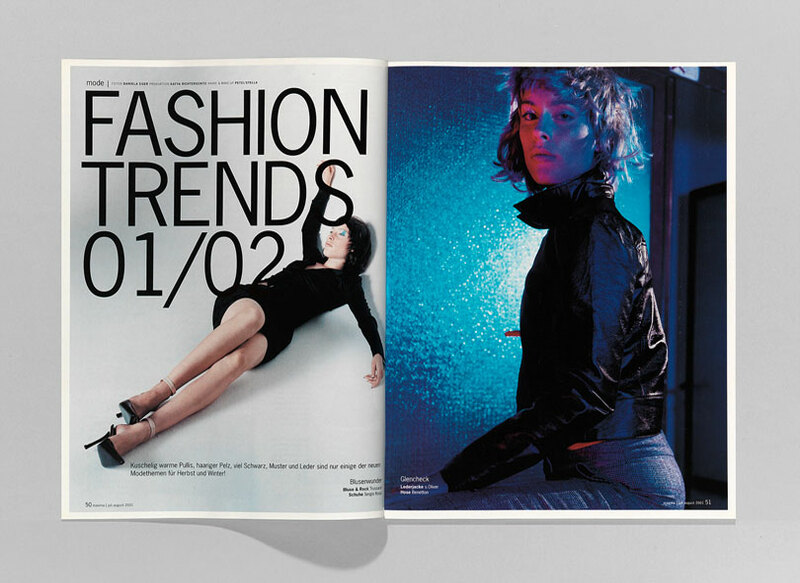 Graphic design concept & art direction, 2000–2002.